Thank you for completing your contract! We have received your contract submission. You will receive a printed copy for your records. 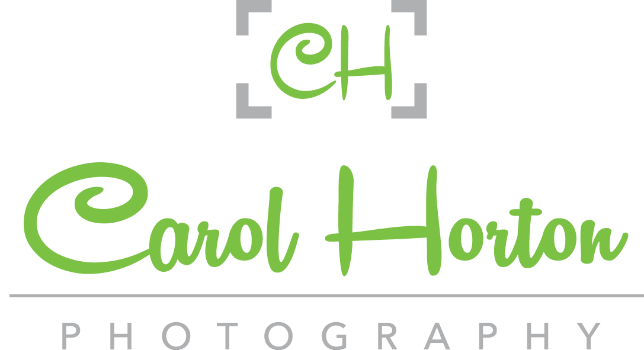 It is understood that Carol Horton Photography is the exclusive official photographer retained to perform the photographic services requested on this Contract. Upon submission, Carol Horton Photography shall reserve the time and date agreed upon, $150 retainer must be received within 5 business days to guarantee the session date. You will receive written confirmation of your reserved date and time. Retainer will be applied to future purchases. Senior Rep Program requires promotion of Carol Horton Photography brand. Images posted by Senior Rep must include my Logo Watermark and be tagged. Senior Rep should always promote Carol Horton Photography in positive manner. If Carol Horton Photography feels like the Senior Rep is not positively representing Carol Horton Photography, this agreement will be terminated and will result in the forfeiture of retainer and other promotional items. In order to earn referral fees, all referrals are required to have a completed Senior Session, completed meaning the referred senior has booked a session with Carol Horton Photography and been photographed by 1/30/2016. All referrals must provide Senior Rep name to Carol Horton Photography to qualify. Senior Rep must be a graduating senior for the 2015-2016 school year and in good academic standing at their school. Transcripts may be required. Senior Rep must live within a 25 mile radius or assume that he/she must travel within a 25 mile radius to be photographed along with any and all of their referrals unless otherwise agreed upon. A completed Model Release must be submitted, if Senior Rep is under the age of 18 at the time of the photo shoot a parent/guardian must complete the model release and contract. If, in the opinion of the photographer, inclement weather or other adverse conditions prevent the creation of a portrait, meeting the artistic standards of Carol Horton Photography, photographer may elect to use an alternate location or to reschedule the portrait. Carol Horton Photography reserves the right to use images created under this contract for advertising, display, publication or other purposes. The Client signing this contract warrants that he or she has actual authority to agree to the use of the likeness of all persons included in the portrait in this manner and shall indemnify and defend Carol Horton Photography in the event of litigation arising out of such use. Negatives, digital files and previews remain the exclusive property of Carol Horton Photography. If Carol Horton Photography cannot perform this Contract due to fire or other casualty, strike, act of God, or other cause beyond the control of the parties, or due to Photographer’s illness or emergency, then the Photographer shall return any deposit or session fee to the Client but shall have no further liability with respect to the Contract. This limitation on liability shall also apply in the event that photographic materials are damaged in processing, lost through camera or media malfunction, lost in the mail, or otherwise lost or damaged without fault on the part of the Photographer. In the event Carol Horton Photography fails to perform for any other reason, Carol Horton Photography shall not be liable for any amount in excess of all monies paid. Client is aware that color dyes in photography may fade or discolor over time due to the inherent qualities of dyes, and Client releases Carol Horton Photography from any liability for any claims whatsoever based upon fading or discoloration due to such inherent qualities. However Carol Horton Photography will work with print provider to rectify any warranty issues. By selecting the I Accept button, you are signing this Agreement electronically. You agree your electronic signature is the legal equivalent of your manual signature on this Agreement. By selecting I Accept you consent to be legally bound by this Agreement's terms and conditions. You further agree that your use of a key pad, mouse or other device to select an item, button, icon or similar act/action, or to otherwise provide Carol Horton Photography, constitutes your signature (hereafter referred to as E-Signature), acceptance and agreement as if actually signed by you in writing. You also agree that no certification authority or other third party verification is necessary to validate your E-Signature and that the lack of such certification or third party verification will not in any way affect the enforceability of your E-Signature or any resulting contract between you and Carol Horton Photography. You also represent that you are authorized to enter into this Agreement for all persons who are listed on contract and that such persons will be bound by the terms of this Agreement.